The Dairy sector in Nandi County is set to benefit from the soon to be launched big 4 agenda after the Small Holder Dairy Commercialization Project- SDCP unbundled a number of goodies to the dairy farming practitioners in a bid to ensure profitability in the Dairy Value chain. The County Department of Agriculture and Cooperative Development, have identified the Dairy sector as one of the key value chains to be accorded serious focus in the apportionment of resources so as to turn around the sector which contributes to about 20 Per cent of the county’s income. 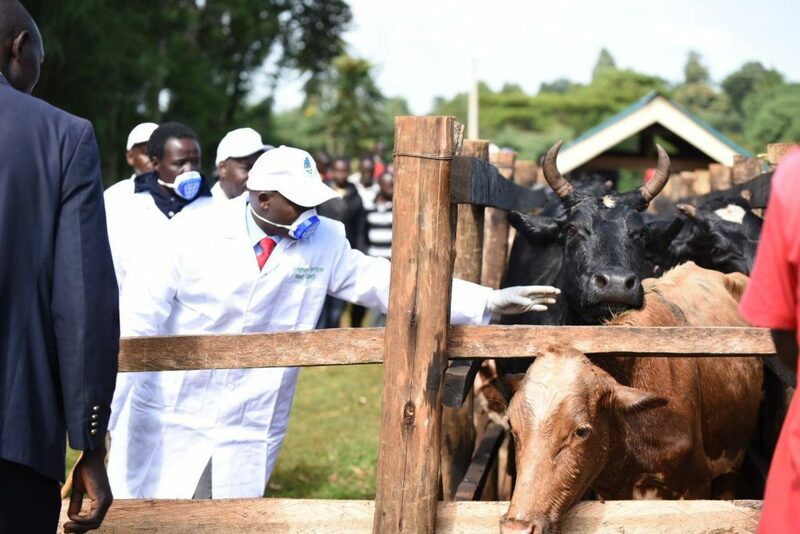 During the launch of Governor Stephen Sang’s Big 4 agenda slated for next week, a number of Dairy groups and Apex Organizations will be issued with Cheques worth 23 million shillings to support their Dairy farming enterprises. Under the SDCP’s Dairy Feeds Development Window whose aim is to support the development of cheap dairy feeds by the Dairy farmers and thus reducing the cost of production, 5 groups will receive financial support from the county government towards their activities which include Commercial Hay Production. They include, Tururo Multipurpose Self-Help Group (Chepkunyuk Ward), Saos Women Group (Ollesos ward), Kipnusu Women Group (Kilibwoni Ward), Chepkoiyo SHG (Kurgung’- Surungai Ward) and Kapkitany Kalyet SHG (Kipkaren ward). Under the Marketing Window, Kaptildil CBO (Chesumei Sub County) will be supported through the purchase of Aluminum Milk Cans, Digital weighing scales and milk quality control machines such as Lactometers alcohol guns and reagents. Kapkuto Farmers Cooperative Society will be supported trough a 1.1 Million shillings fund for the purchase of a milk Cooler, Pasteurizer and milk Dispenser while Lessos and Tany’Kina Farmers’ Cooperative Societies will be supported to Purchase a 3000 litre Capacity Cooler, a Pasteurizer and a dispenser as well. Kabiyet dairies will also be supported with 2 milk Coolers. The County government through the Smallholder Dairy Commercialization Program also ropes the use of ICT in the dairy sector to facilitate automated collection of milk. To achieve these, Aldai, Lessos and Cheda Dairy Farmer’s Cooperative Societies will get 2.3 Million shillings each meant for ICT compliance while LOLKA Fcs will walk away with dairy accessories such a Standby Generator, a Compressor, Piping system and Sollar Panel System.